Fyffes, the Irish fresh-food supplier, has appointed The Minimart to "make bananas exciting again". The produce importer has asked The Minimart to raise the profile of its brand in the UK and continental Europe. The Minimart was appointed after a competitive pitch process run by AAR that began in February. 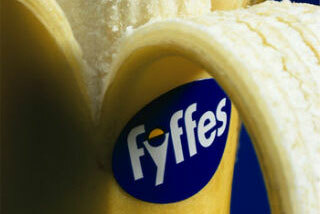 Fyffes is not thought to have previously worked with an agency. Paul Barrett, the Fyffes brand manager, said: "I hope The Minimart appreciates the challenge they have taken on. Most people love bananas and eat them regularly but barely notice them. Our job is to make bananas exciting again." Fyffes supplies supermarkets with own-label and Fyffes-branded fruit, and is the leading Fairtrade banana importer in Europe.